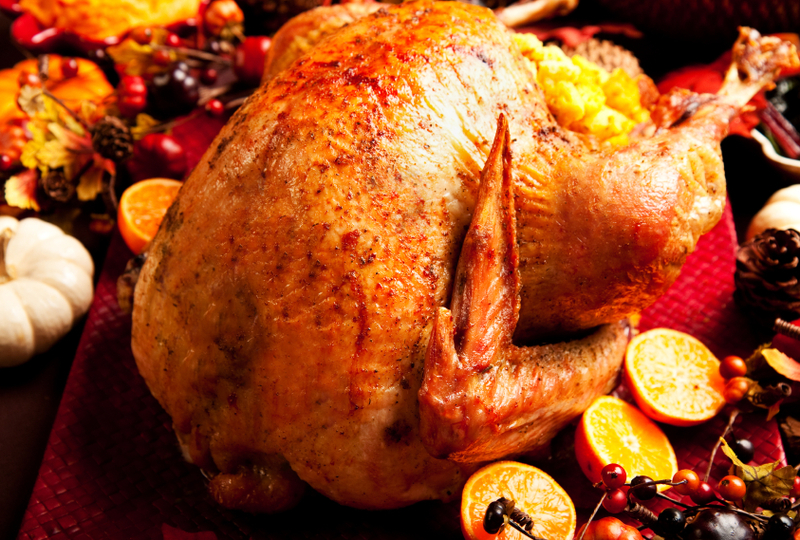 Should You Talk Politics at the Holiday Dinner? It goes without saying that this has been a difficult year with a contentious presidential primary. You probably thought that peace would be restored once the election process was final. Wrong. In many ways, it has only gotten worse. Do you dare talk politics during this holiday season? Before the election, there were those who were willing to talk about the candidates’ behaviors and their verbal attacks on each other, but reluctant to disclose how they planned to vote. As soon as the polls opened, people came out of the woodwork to declare their position and candidate of choice. You follow the news. You know what has happened since. A lot of it is ugly. As the holidays approach and friends and family gather for the traditional festivities—particularly the holiday dinner–do you dare talk about the election? No one is naïve enough to believe that family gatherings always go smoothly and joyfully. Every family has one or more members who can stir the pot—not necessarily the one on the kitchen stove. How do you handle that person, or persons, this year who wants to talk politics, the ever-forbidden conversation topic? Is it wrong to bring up the subject or talk about the obvious “elephant in the room”? Maybe not. How you do it is the tricky part. Do you try to force your opinion on everyone else? Do you put down those who don’t agree with you? Do you toss your napkin on the table and stomp out in anger? Do you force people to take sides and polarize the family? The political situation cannot be ignored. It’s like living on the coast of Georgia, as I do, and not talking about Hurricane Mathew that ravaged my community. The 2016 election is too much a part of our lives to disregard. It should be discussed and acknowledged, but in a way that values all opinions. To use a cliché, you should agree to disagree. Keep your mind open to the views of others. Give yourself permission not to join in the conversation. I am not so naïve as to think that everyone will play by these rules. Some of these family gatherings will end in disaster. Just make sure that you are not the one who caused the 2016 holiday event the one to remember for all the wrong reasons. Approach those whose opinions you do not share with kindness, courtesy, respect and a heavy dose of tolerance. For more information on how to handle this and other holiday issues, order a copy of my ebook, Business Etiquette for the Holidays. 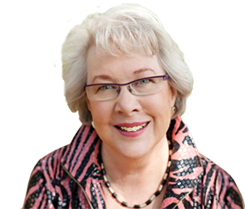 Lydia Ramsey is business etiquette and modern manners expert, keynote speaker, seminar leader and author of Manners That Sell-Adding the Polish That Builds Profits. Based in Savannah, Georgia, she travels across the US and as far away as India and Dubai to work with clients that include universities, corporations, small businesses, associations and non-profit organizations. Her topics range from flip-flops to forks. 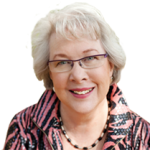 Visit her website www.lydiaramsey.com for more information about her services and resources. 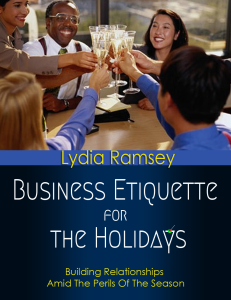 This entry was posted in Dining Etiquette, Holiday Etiquette, Office Etiquette and tagged communication, conversation topics, dining etiquette, etiquette, manners, politics, post-election on November 23, 2016 by Lydia Ramsey.